Kraissl Model 60 EMD Series pumpsets are of the internal gear type, with provision made for proper gasketing tocontrol clearances for each type of service. The master rotor and shaft are an integral unit, eliminating misalignment due to the deflection of a rotor on a separate shaft. 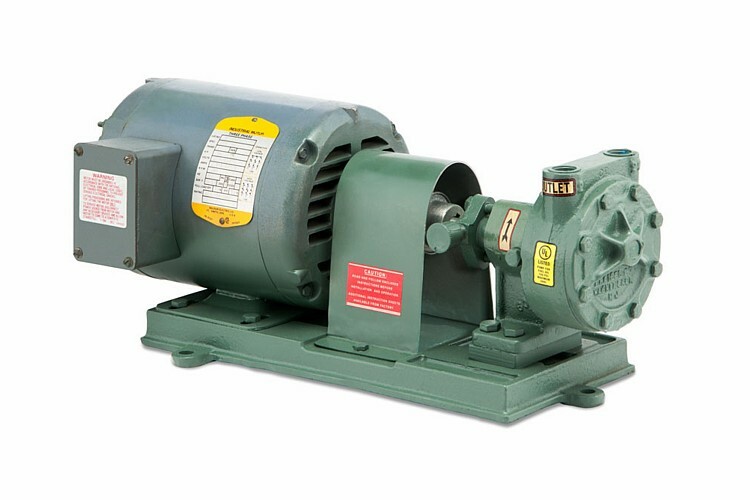 Standard 60 EMD pumps are furnished with heavy duty journal bearings and return seal stuffing box which permits interchange of suction and discharge ports by reversing rotation of pump and interchanging return by a simple adjustment. 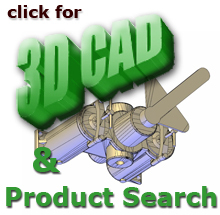 This reduces pressure on the stuffing box to suction pressure and minimizes leakage. Standard pumps are furnished with face plates, end plates and housing of high tensile cast iron. The displacement gears are of steel with the idler hardened to ensure minimum wear. Optional OSHA coupling guards can be provided when required. It has been sufficiently emphasized on our opinion that the proper speed for pump operation is controlled by the viscosity of the liquid being pumped. A rapid change in viscosity is very often a function of temperature and the pump speed should reconcile with the lowest average viscosity at pumping temperature. The method of applying this speed is a matter of economics and in some cases, space limitations. If a pump is run faster than the liquid will fill the displacement chamber, under the suction created, cavitation will result. This produces an undesirable audible whine, adverse mechanical effects and the capacity and efficiency are reduced. Where speeds of 1800, 1200 and sometimes 900 rpm do not produce cavitation, direct connection motor is usually the desirable choice. If speeds below 900 rpm are necessary loose coupling to our reduction belt drive units may be employed. See our Bulletin A1193. 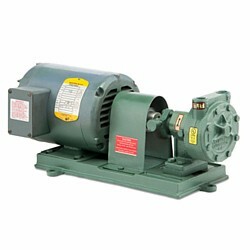 The speed of 900 rpm is a dividing line where the choice could be either way, depending upon other factors, and pump characteristics at 900 and 600 rpm are indicated where connection to other sources of power or reduction drive motors meet the requirements. In general with light liquids of a viscosity at pumping temperatures of not over 150 SSU, direct motor drive at 1200 rpm is a good selection, if proper attention is given to bearing considerations for non-lubricating materials. There are cases of liquids containing abrasive matter where reduced speed should be used with oils and other hydro-carbons that do not rust and corrode these metals. Our standard Model 60 series pump heads are manufactured with manually adjustable bronze packing glands. Periodic examination and adjustment of this gland may be necessary to avoid shaft leakage, especially on light fuel oils. Standard shaft packing is square section, rope-type, made of graphited synthetic fiber. An optional spring-loaded packing gland can be provided which automatically adjusts the pump shaft packing to compensate for packing wear. Optional Teflon packing in lieu of standard graphited-fiber packing can also be provided. The combination of spring-loaded, Teflon packing can be a cost-effective way to assure effective pump shaft sealing. Both can be added later to existing pumps. The information on this page is for comparison only. Capacities and horse power required with different liquids at the same pressures will vary with viscosity and pump sealing characteristics. Request performance curves for accuracy. Note: First column under each pressure shows GPM. Second column under each pressure refers to HP and is set n bold face type.